If you're a business owner, then you know the importance of standing out to be noticed. Having an online presence is essential, and presenting a professional, attractive image to the world will go a long way in bringing in business. I love showing off what other people do for a living! Your business has a story of it's own that I'd love to hear. I can help you capture the essence of your business through photographs that will share your story with the world and make people want to join in. I have selected a few of my favourite business stories to share with you here, so you can get a feel for what I love to do. I am always completely up front about the cost of my sessions. There will be no hidden costs, nothing to pay later. I offer packages that include the session with you, and all the professionally edited photos presented on a disc, for you to use as you please. I have found this is what most people are after, rather than a cheap session rate and then paying exorbitant amounts for individual photos. My business packages start at $290 and will vary depending on the number of locations you wish to have photographed, and how many photos you wish to be presented with. The base price includes 10 photos. Specials are advertised from time to time on my Facebook site, which you can join here. I look forward to hearing from you so I can tailor a package to your desires: 0414 807 053 or Email me here. Kristi's business is 'Rhythm Station'. She does an amazing job of engaging toddlers and their parents through music and song. So many smiles and so much fun in this one hour session. Kristi's enthusiasm and love for kids really shines through these photos. 'Bella Voce' is a Newcastle based Acapella Quartet with incredible talent! They are all 30-something ladies with jobs and families, who pursue their lifelong passion for music in their 'spare' time. I have now had the privilege of photographing multiple concerts for them, as well as some posed portraits for their album cover. On a recent trip to South America, I had the honour to be asked to provide website images for a local tour company. Jaime is the owner of 'Deep Trip Chile', and after a career in finance to establish the capital he required, he is now pursuing his passion - showing off his stunning country to visitors. The tour I was asked to photograph was to Cajon Del Maipo, out of Santiago, and then Lagunilles Ski Area. Truly some of the most beautiful places on earth. This amazing art-on-a-plate was created by 'Exquisite Patisserie', Cessnock. The owner had worked for many other people throughout his career and finally took the step of starting his own shopfront, that also provided desserts for many of the Hunter Valley Vineyard's best restaurants. He wanted eye-capturing photos for his website, and also to use as images on his shop walls. He was thrilled with the result! This is Equip Multimedia- a local Newcastle business. They have been around for years as a small scale business but with the purchase of some new and very fancy equipment, they were looking to expand their reach. They wanted some photos for their new website to show off what they can offer. They provide equipment for multiple Christmas Carols events every year and asked me along to one of them to help tell their story. Check out the massive speakers (the same ones that Taylor Swift uses, I'm told!!) and sound desk, and the awesome lighting and effects on stage. I was actually pretty impressed! These were for the awesome trio 'Repair By Breaking' who were performing live and being interviewed at a local Radio Station. This band volunteers their time to go into local High Schools to spread the message of the love of God for each person. They are rather inspirational! These photos were taken as the artwork for a cookbook called 'Friendly Food for Chocoholics: 30 Wholefood Recipes, Free From Gluten, Dairy & Refined Sugar'.  The book happens to be written by Karen Stevenson, so now you know a little more about my story!